Whether purchased from ourselves or a third party, we offer experienced servicing, calibration and repairs of Hearing Aids of all makes and models. St John's Hearing Aid Centre offer comprehensive servicing of hearing aids, including cleaning, vacuuming, battery replacement and reset. We supply all sizes of battery via a postal system. Just one quick phone call and your batteries will be on their way. You can also post us your hearing aids for servicing, calibration or repair. 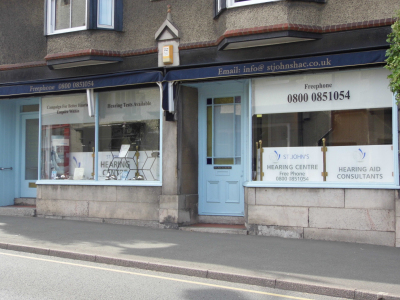 If you are unable to make it to our Grange-over-Sands or Edinburgh branches, we offer a postal service to send hearing aids in to us for a quick turn around. Please contact us for details. Note, when sending hearing aids via post they need to be boxed carefully. Hearing aids simply placed in standard or even bubble-wrap envelopes run the substantial risk of being crushed by Post Office sorting systems.